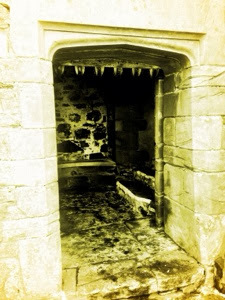 Holy island is situated just off the North Northumbrian coast and is completely cut off from the mainland twice per day. Before you set off it is very important you check the tide times so you do not end up stranded. We have visited Holy island many times over the years and it remains to be one of my favourite places in Northumberland. It has a very special and unique atmosphere that I have never experienced elsewhere and if you visit early in the day it is just oh so tranquil. 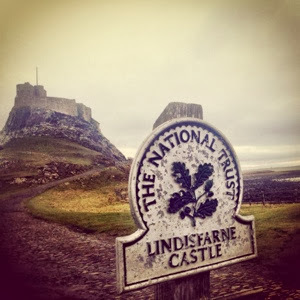 Our recent visit to Holy island began with the picturesque 1 mile walk along the Coast from the main part of the island to Lindisfarne Castle which is owned and managed by the National trust. The walk is absolutely stunning. You can access the shore easily en-route and we spotted one keen family collecting shell fish and other families exploring the rock pools despite the Cold February weather. There is also a wildlife hide at the beginning of the route which details some of the wildlife you may spot on the island. Entrance to the castle is only £16.95 for a family ticket (or free if you are annual members as we are) which is fantastic value for money. Make sure you check the national trust website for opening times. The walk up to the castle entrance is full of anticipation. Be careful though as the cobbles can be steep here and slippy on a rainy day. The sea was so calm around the entrance on the day of our visit. We were given a mini and informative guide to read as we explored the castle. I was interested to read that the castle had been used as a luxurious holiday home for the owner of country life magazine up until the 1900's. The castle had largely remained untouched since this period. We were greeted at the entrance by an enthusiastic guide who told us a brief history of the castle and encouraged us to come back with any questions. She also gave us a mini private tour of the kitchen which was nice. 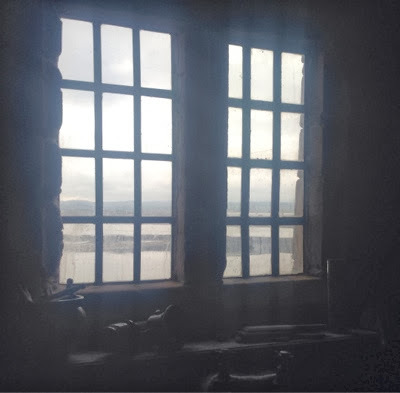 I loved looking at all the interesting objects in the castle and spotting a few items that my grandparents have in their own house. There are cards in all of the rooms containing further information but I just enjoyed soaking up the atmosphere of the castle. 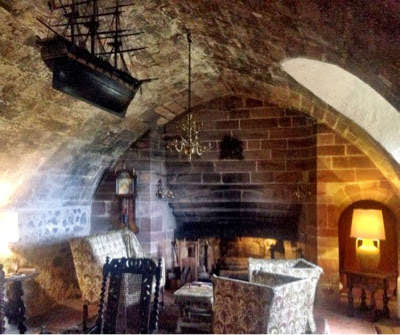 Because the interiors have remained untouched, it is very easy to transport yourself back to another time. On the rooftop outdoor battery we were surprised to find a guide standing next to a powerful telescope and binoculars which were available to borrow. We were promised that we would be able to spot some seals on the sand banks in front of us. I looked through the telescope but really couldn't see anything that looked like a seal at all! The guide was patient with me though and gave me some pointers of where to look and what to look for and then WOW as if by magic I spotted hundreds of seals all basking in the sun right in front of my eyes! It really was amazing. The guide was really passionate about the seals and provided lots of interesting facts which we really appreciated. 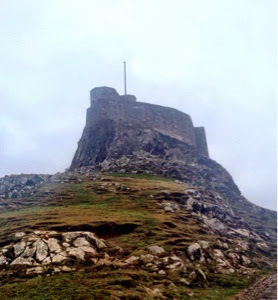 I absolutely loved Lindisfarne castle, it is simply stunning. We plan to visit again in Summer when the children can take their buckets and nets to explore the rock pools themselves. 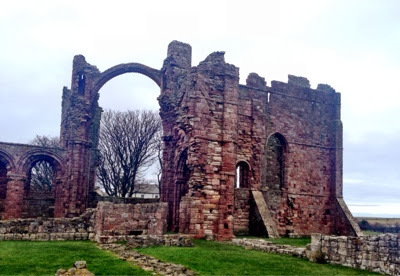 Back on the main part of the island, is Lindisfarne Priory which is owned and managed by English Heritage. We have visited the priory before during a special 'Viking raider' event a few years ago. 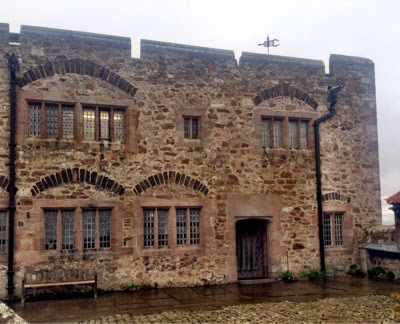 I was keen to re-visit whilst on the island and learn more about it's history. The entrance fee is very reasonable at£5.20 for adults and £3.10 for children aged 5+ or free if you are English heritage members as we are. 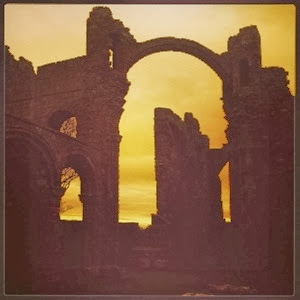 Check the English heritage website for priory opening times. Included in your entrance fee is entry to a small exhibit surrounding the history of the lindisfarne gospels. We browsed for 5-10 minutes before entering the priory. What I loved about the priory is how much extra information you are given. As you walk through the different areas of the ruin there are plaques detailing when that particular area of the priory was built and what it was used for plus additional useful information. I really enjoyed reading about the history of this building. They were just short paragraphs here and there but were really engaging and I think any child aged 6+ would enjoy reading them. 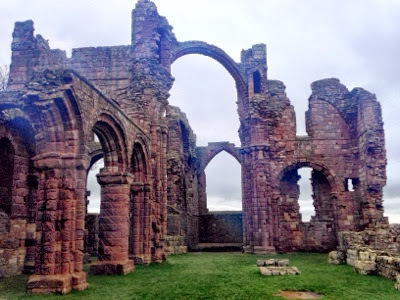 It was very interesting to read what happened to the priory through various stages of it's history - at one point it was home to only 3 monks because the threat of war from Scotland was too much for most. Also, the priory was raided by Vikings and it fell into disrepair during the reign of Henry VIII when he ordered the dissolution of the priory. During this time it was used for storage. It is just amazing walking around these ruins and learning about their history. You really feel as if you are stepping into a piece of history and you can really begin to imagine how the monk's of the priory lived. The island is home to a few craft shops, a couple of pubs and a handful of coffee shops. One of the island's famous export's however is lindisfarne mead which is manufactured on the island. A trip to Holy island is not complete without a visit to St Aidan's Winery where you can sample the many different types of mead on sale and learn a bit about them from the helpful assistants. The shop sells lots of local produce along with the famous mead (we bought some Lindisfarne lemon curd) and stocks a wide variety of whiskeys and wines. The staff are helpful and able to give advice when needed. 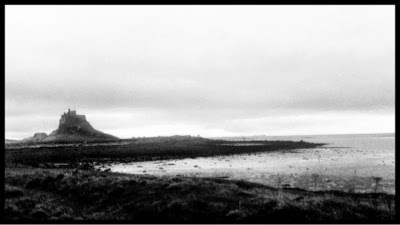 Holy island really is such a unique place we are so lucky to have on our doorstep. It's charm, tranquility and history mean that for me, it is a place I will go back to over and over again. 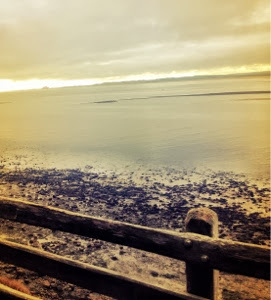 I was on my way to Holy Island a few weeks ago but never made it due to a car crash on the A1 :( I WILL visit one day, it just looks so beautiful! We're holidaying in Northumberland next month. Holy island is on our to do list. Where else is a must see in Northumberland?